Everything you need to know about Punta Perla and Ricardo Miranda in one place !! Finally some good news to the defrauded investors in Punta Perla!!! After the “dirty” judge in Madrid was removed, then new judge called and heard both Ricardo Miranda and OVP in the court last month. He will call more people and seems to take the fraud case against Miranda, who never build as much as a sand castle in his whole life, very serious! There may be another route that many of you based in UK and Ireland who bought in Punta Perla may be interested in , especially if you borrowed against your home i.e. remortgaged or used pension funds, etc to fund your deposits in the UK or Ireland. Recently a guy from N.Ireland who bought in Punta perla and couldn’t afford to join any of the ongoing legal cases, as he couldn’t afford to shell out any more money, contacted Ollie and a few others with news of another option which over 40 investors in our group are pursuing at the minute in parallel with our case in Madrid. – Simon Green formerly of CAG Europe and now heading our legal action partner, Fountain Templar, has referred us to you and fellow investment victims. We are now working with Simon to help victims of Ocean View Properties achieve some redress for their Spanish property investment losses. We can do this now because of a major decision in the High Court where a final appeal was heard and the decision made in favour of the claimant. It involved a couple who were advised to obtain equity release from their home to invest in off plan Spanish property which went into liquidation leaving them with the debt and no way of repaying it. The 3 High Court appeal judges said that it was the improper advice and not its use which transgressed the law. That made in this case, the broker, his brokerage, their professional indemnity insurer and finally, as these parties no longer existed, the Financial Services Compensation Scheme liable to make good some or all of the losses. 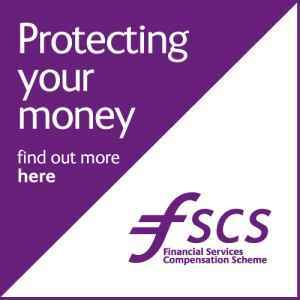 Unfortunately, the FSCS has a limit to pay compensation of £48,000. We are now using this precedence to make claims in the UK for offshore investment losses where the funds were obtained through UK brokers and lenders making such borrowing subject to UK financial services laws. There will be no up-front charge or direct costs to you as we and our legal partners are taking all cases of this kind on a no win no fee basis. That means the least you will get is 70% (with our success fee being 25% plus 5% VAT) of what we achieve in full and final settlement. We do not expect to get all your money back because there are statutory limits however, depending on whether it is the broker, the lender, the FSCS or the FoS deciding against the lender, we should help get a considerable amount back for you. Please advise if this is of interest and if so how we can contact you by phone and in writing, especially your current address so that we can write to you with claims documentation. Simon, my colleagues and I are available to talk about this at any time convenient to you. Just last week they sent a group of 5 representatives over to Ireland to meet over 40 of our group, over a three day period, to let everyone know about this other possible way to try and retrieve some of our money. The 40 plus investors who met them were very impressed by their plans and the whole process seems pretty straight forward. The main thing for everyone was there are no up front fees , it is a completely no win ,no fee claim. They will only make money from the fee they charge at the end ie 25% plus 5% vat. Seems a big fee on their behalf but if any of us thought we could get 70% of our money back soon without having to pay anything out initially , we’d take their arm and all. The main guy was called Micheal Coyne who basically said that anyone who was introduced by a broker / brokerage etc and was encouraged to take extra finance to cover their deposit would simply have to send them the details of who introduced them and where they got their finance from either mortgage, pension fund etc. and from this info they would proceed with the claim. Unlike our ongoing cases the claims would be settled between 6 months to a year at most. This option is also available to any Uk investors in Punta Perla or any other development and it doesn’t matter who the introducer was ie doesn’t have to be OVP. It was explained to our group that this claim in no way effects our current cases in Madrid and DR.
From the meetings it seems that these guys were fairly confident of success for many people. Hopefully this option might help some people retrieve something back . The best thing for anyone who feels they might have a claim is to contact these guys yourselves and then you ll be in a better position to know whether you might have a case. The potential loss for some of the brokers and networks is huge, and none of them will be queuing up to give that money back. We already have 8 claims on file where people have tried to do it themselves and failed. Worse still, most of them have negated their own claims by what they have said or written. So, yes people can do it themselves. But putting in a claim against the wrong company could be the difference between a £50,000 payout and a £150,000 payout. Most of these (big) companies treat any complaint from the general public with disregard. As a claims management company they realise they have to respond to us. A law firm has even more sway. The FSCS were ordered in the High Court to pay out on the landmark case and they are not best pleased. It’s essential that FSCS applications have to be accurate and legally correct. However, some people will want to claim themselves regardless of what anyone tells them. The key legislation from the recent case was that the woman, whose case started it all – Charmaine Emptage- started with a small repayment mortgage that was switched to a large interest only mortgage for the express reason of investing in an off-plan Spanish Property. The closer we can get to that scenario the better. Once we have all the paperwork in we request documents from the lender regarding the sale of the mortgage. The lender has a statutory 40 days to respond. But we can’t go back again unless they fail to deliver the specific documents we have asked for. It takes about a week to 10 days to compile the claim – longer if we consult a barrister for the more complicated cases. The company has to send us a final decision on the claim within 8 weeks. If we have to go to FoS this can take a further 6 months. The FSCS ‘seek’ to complete their investigations within 6 months. This is the way it used to be with PPI claims, but now they are down to 2 months. The Financial Services Compensation Scheme was set up as a safety net for individuals claiming against regulated companies in the financial world who have gone bust. They have a big pot of money (far bigger than we could use up) collected from the Government and the banking/insurance industry. They pay out a maximum of £50,000 per person per firm claimed against. So, up to £100,000 for a couple can be awarded. We have already come across a couple who joined forces with a friend to buy a Punta Perla property. They arranged their mortgage and he arranged his. Each of them could get a maximum of £50,000 back. The Financial Ombudsman Service can be asked to adjudicate when a claim is turned down by a company still trading. They have the power to order a company to pay up to £150,000 in compensation. Many OVP claims will be in excess of this so firms may opt to turn down the claim and wait for FoS to order them to pay the lesser amount. This entry was posted in Uncategorized and tagged dirty judge, dominican republic, fraud, invest in the Dominican Republic, leonel fernandez, punta cana, punta perla, real estate, ricardo miranda, scam by admin. Bookmark the permalink.